Like it or not, we live in a world where the cleverest marketing strategy attracts the best customers whether your product/service is the best or not. Popular brands are powerful, and, in the end, they get to take the bigger slice of pie. Similarly, in the world of business, a well-developed personal brand matters more than the level of quality one is able to deliver. The personal brand defines your work experience, your capacity to solve problems in your field of work and talks about how you communicate with customers. While it sounds a bit far-fetched, there are studies that show people who managed to put together great personal brands tend to get the best projects and earn more than the average Joe. And this doesn’t happen because they are smarter or more knowledgeable. It happens because they understood the power of branding and learned how to apply it in their professional life. Still, the concept of personal branding is a work in progress. As a result, it’s difficult to find high-quality and actionable advice that fits your particular situation. This is why we put together a guide with some of the most efficient personal branding techniques that are easy to understand and apply. There is a quote usually attributed to motivational speaker Jim Rohn, that says “you are the average of the five people you spend most of your time with”. While the quote is highly debatable, there are some truths to it. Basically, what the author is trying to convey, is that we are influenced by the people with which we get in contact on a daily basis. However, we are also influenced by the people we follow on social media, by the books we read, and videos we watch. So, take the quote and transform it according to your needs. If you have the possibility, get in touch with specialists in your field and establish a connection. They can be your co-workers, your managers, or even people you met at a conference. You don’t have to be friends with them or even spend every single day talking; you just need a way to communicate your thoughts and get feedback. Furthermore, make sure your social media feed is loaded with publications and posts from authority content creators in your field. People love getting messages, shares, and comments on their posts, so it will be easier to find a connection. The idea is that you absorb the information and type of behavior you see every day. So, to become a highly regarded professional with a strong personal brand, you should surround yourself with people who are already established as such. The fuel that drives a strong brand is represented by your willingness to improve yourself. Just like a product or service grows by implementing customer feedback (positive and negative), you also need to evaluate your strengths and weaknesses. Furthermore, a professional who is open to the idea of improvement sends a strong message to their clients or employers. It shows you are ready to grow without someone pushing you from behind. The good news is that you have a plethora of resources and materials at your disposal. For instance, if you want to improve your business management skills, you can take a leadership and management course online or you can buy the book that’s most recommended by specialists in the area. The same goes for every new skill you want to master. In the end, in an ever-changing business environment, it’s important to upgrade your knowledge and set of skills. Your uniqueness is your very own advantage in building a strong personal brand! It’s the element that attracts the right type of customers and the force that gets you where you want to be. So, if you’re not sure what makes your brand unique, have a look at your activity. Read the feedback you received from clients or analyze behavior reports received for annual evaluations at work. You don’t need something that’s Earth-shattering and paradigm-changing! You only need to identify that element that makes people remark you as a professional. It can be anything from “high-quality work at a fast pace” to “unlimited access to high-end resources”. Unless you’re a Steve Jobs type of person, it can be extremely difficult to find your voice from the very beginning. But that’s normal; we are not all geniuses and we don’t have to be. So, when you first start, your personal brand will be a mixture of elements you learn from the people you admire and follow (see point #1). But, as you learn and grow, your voice has to change. You need to be on a quest for authenticity so, in the end, you’ll get to identify your uniqueness. The voice of your brand must represent your true aspirations and opinions in life. Also, make sure to stay true to your brand, even when the times aren’t as favorable. This shows integrity, a quality that’s highly valued in today’s business environment. The main purpose of a strong personal brand is visibility. You invest time, money, and energy in a wide range of activities to make sure the right clients or employers take notice. However, some tools are more effective than others when it comes to creating the right type of visibility. Yes, a web page and a social media profile are two different things. And you need both to increase your visibility! We recommend selecting the channel that is most likely to get your post in front of possible customers (LinkedIn, a blogging platform, or another professional network). It’s important to stay active and develop an authentic style that speaks about your level of professionalism and dedication. Should you ever have the opportunity to participate as a guest speaker at a conference, make sure to RSVP yes! This type of events gather all sorts of people from your field of interest and are an amazing opportunity to increase brand visibility. While most commercial brands would kill for a well-developed emailing list, many personal brands seem to ignore the opportunity of building one. 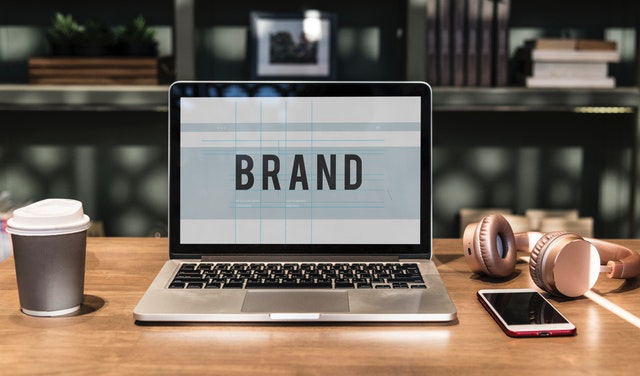 Studies show that email marketing is still one of the most effective ways to increase brand visibility, and this applies to personal brands as well. Sure, you have to be delicate with the process and avoid becoming a nuisance, but it helps to stay on your clients’ mind. This way, when they need the services you offer, you’ll be the first to call. A book, articles in an authority publication (online or offline), a PDF you send with newsletters, any type of written materials can improve brand visibility. Even more, if you are a published author in your field of activity, it strengthens your position in the eyes of customers.